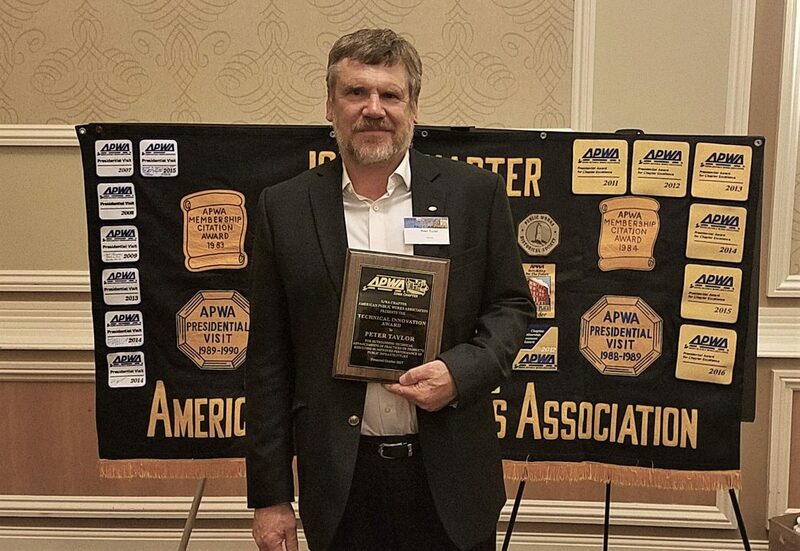 Peter Taylor, director of the National Concrete Pavement Center (CP Tech Center) at the Institute for Transportation at Iowa State University, has received the Technical Innovation Award from the Iowa Chapter of the American Public Works Association (APWA). The award was given to Taylor for outstanding technical advancement of practices or products resulting in improved performance of public infrastructure. He received the award during the 2017 APWA Iowa Chapter Fall Conference, held in Dubuque, October 4-6. Taylor assumed leadership of the CP Tech Center, a national hub for concrete pavement research and technology transfer, in 2015. He is a research associate professor in Iowa State’s Department of Civil, Construction and Environmental Engineering and has been at the CP Tech Center for the last decade.